One stand and a 30 second double! I made one stand this evening. It lasted 30 seconds... I shot a double!! Facing west I set the caller 30 yards in front of me and made my way back to sit down. I get situated and I pulled the remote out of my pocket. The remote turned on in my pocket somehow and when I pulled it out Pup Dis 3 starts going!! Surprised, I look down at the screen and it’s BLACK! I power it off and on, hit mute and look up. 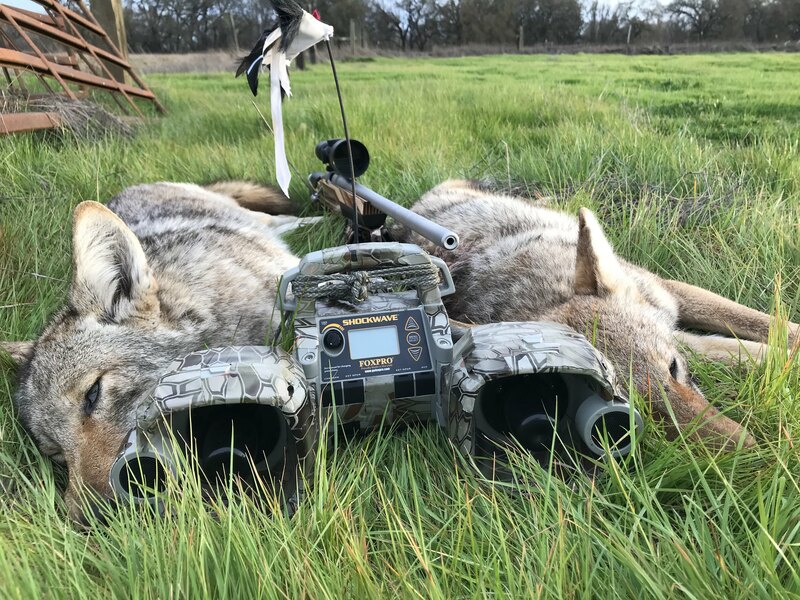 A coyote is charging in at 75 yards!!! I bark, it stops, I shoot. DRT at 35 yards!! Maybe 15 seconds total!! In total disbelief, I look down shaking my head laughing to myself as I start playing Prairie Dog Distress. I look up and a second coyote is chargingn in on the exact same line as the first! I start barking at it, it stops at 50 yards. I took a quick shot and dumped her DRT! 30 seconds total!!! 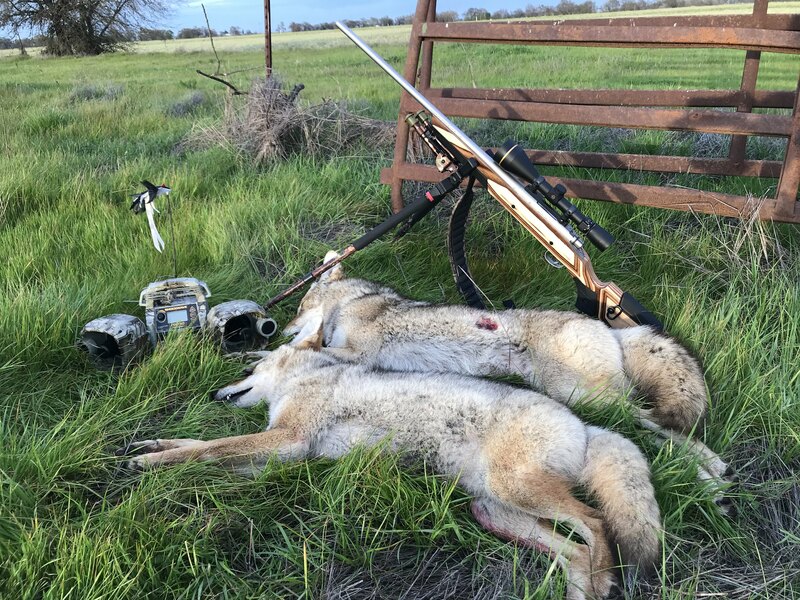 That's an exit wound on the top coyote. I hit him head on square in the chest. Its a great time of the year to be out!! Wow! These are the hunts that keep us coming back! Fantastic fun! Thanks for sharing.